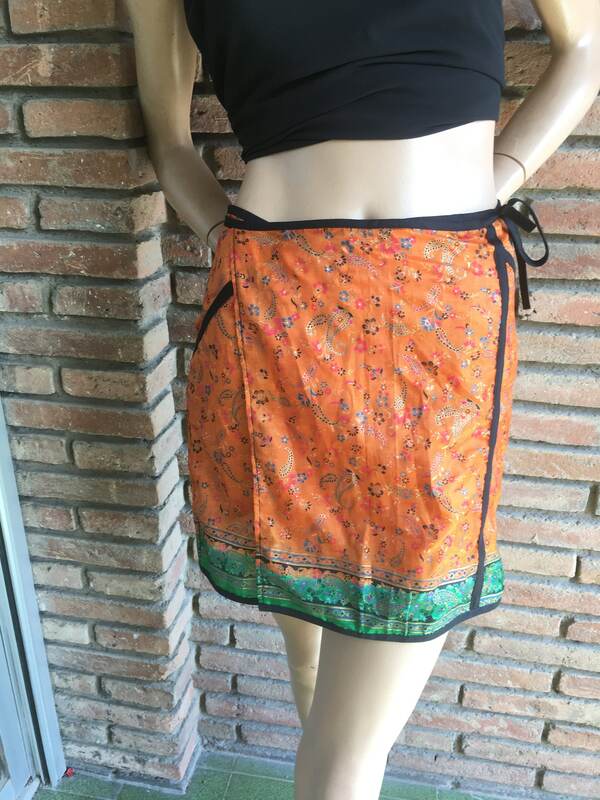 SIlK mini skirt, pareo short skirt in orange printed silk, beach skirt, festival skirt, summer skirt, Ibiza fashion, hippy chic. Sample sale! 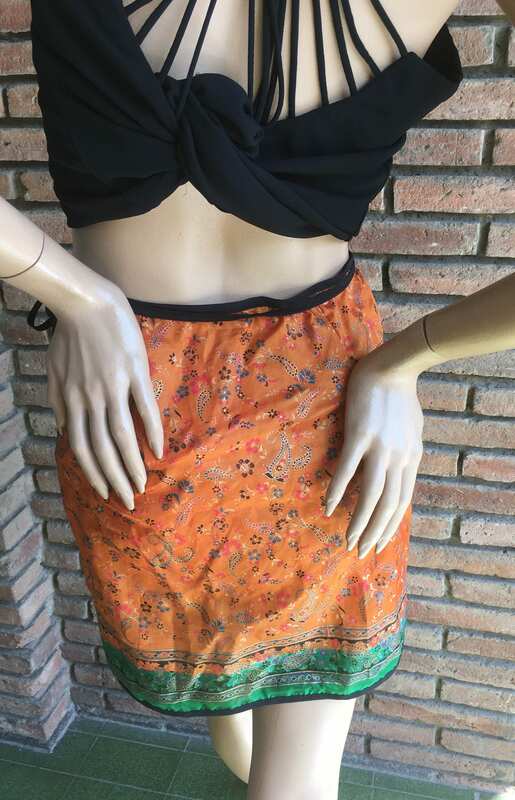 Boho mini skirt in SILK. 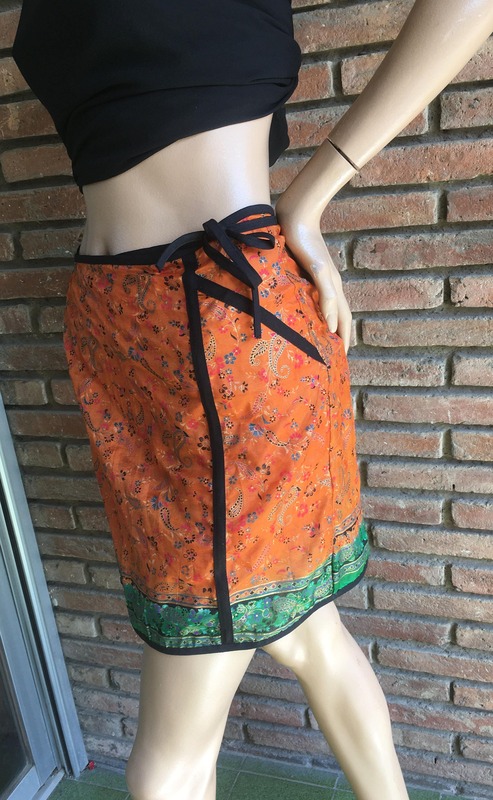 Short pareo skirt in printed silk in orange and Green,with black accents. 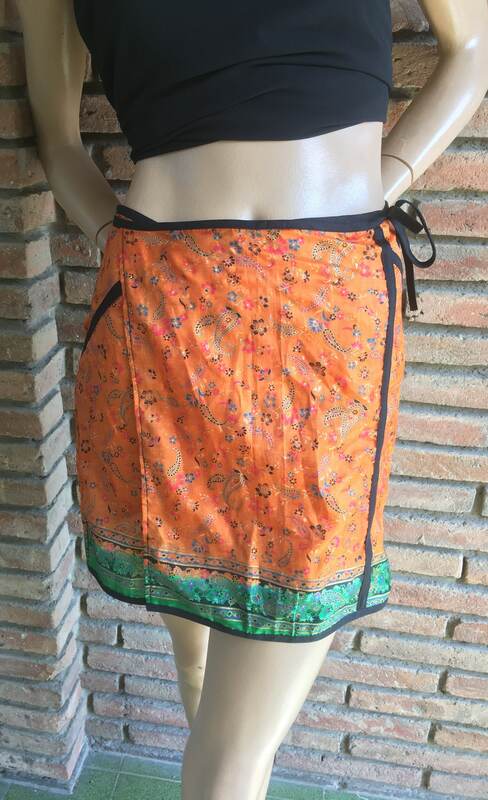 Great for the beach but also very special for a summer night out. It is a simple, a unique piece,we never made any more mini skirts in this model.